Fiat Chrysler on Tuesday announced a $4.5 billion plan to build the first new auto assembly plant in Detroit in almost three decades and increase its workforce in the area by about 6,500 jobs, an investment officials touted as an uncommon opportunity to revive the region's economy. The Motor City was once home to about a dozen massive auto production plants, but a rash of closures helped to push Detroit's unemployment rate to a peak of almost 29 percent a decade ago. 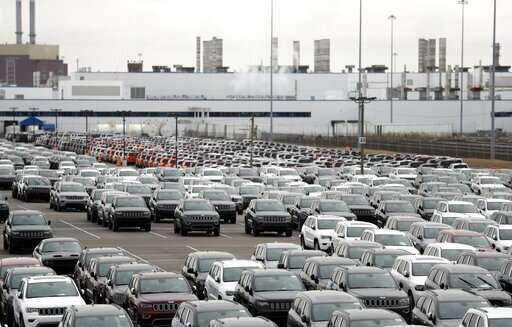 The new Chrysler plant would be the first since 1991 and is expected to add 3,850 jobs. The company said in a news release that it would add another 1,100 new jobs at its Jefferson North Assembly plant in Detroit, and roughly 1,500 new jobs at facilities in the neighboring suburb of Warren. 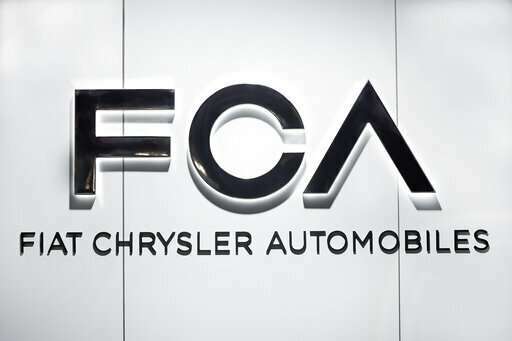 The investment would roughly double FCA's hourly workforce in the city and the expected average wage for the new jobs is about $58,000 a year. 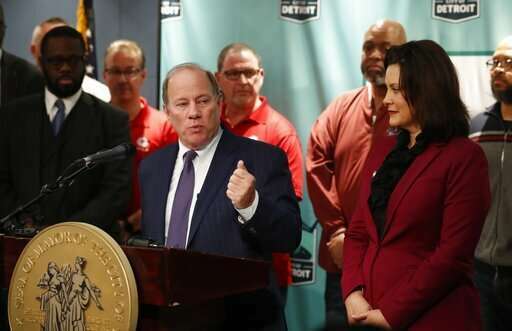 Speaking at a news conference after the announcement, Detroit Mayor Mike Duggan called the deal a "once in a generational chance to change the economic" fortunes of Detroit. Gov. 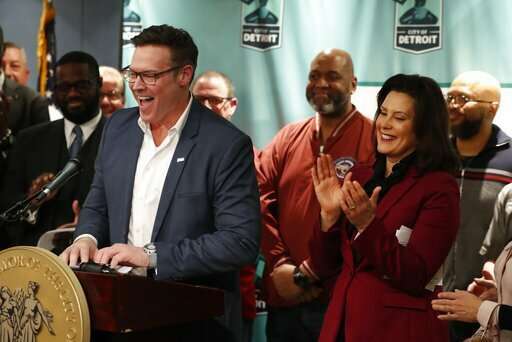 Gretchen Whitmer said it has been a long time since Michigan has seen an automotive investment as "big and transformative" as Fiat Chrysler's plan. Fiat Chrysler said the additional investments are subject to tax incentive packages it was working out with the city and state of Michigan. The automaker would need about 200 acres (80 hectares) of land for the project, most owned by the city, Great Lakes Water Authority, DTE Energy and the Moroun family, which owns significant amounts of city real estate and the Ambassador Bridge that connects Michigan to Ontario, Canada. City officials signed a memorandum of understanding with the automaker, and they were ironing out a deal to assemble land for the project over the next 60 days. If enough land is acquired and the tax incentives approved, construction is expected to start later this year and the first new vehicles could be in production by the end of 2020. The automaker's injection of money and jobs into the Motor City contrasts sharply with news from rival General Motors Co., which announced plans to shutter its Detroit-Hamtramck plant next year and plans to close four others in the U.S. and Canada. City officials insisted they would help bring those 5,000 new jobs to the city without displacing any residents. In the early 1980s, thousands of people were relocated and a black and Polish neighborhood known as Poletown was razed for what became GM's Detroit-Hamtramck plant. Fiat Chrysler's massive, multi-layered investment calls to mind online retailer Amazon, which last year had more than 230 municipalities competing for its second headquarters and offering billions of dollars in inducements. Northern Virginia and New York ultimately won the competition, but Amazon recently canceled the New York project—and some 25,000 promised jobs—after running into fierce opposition to those incentives from lawmakers and political activists on the left. Fiat Chrysler's industrial overture to the Detroit area is not the same, said Kristen Dziczek, of the Center for Automotive Research, an industry think tank in Ann Arbor, Michigan. For the automaker, she said, it's akin to "investing with friends in Michigan they know very well." She noted that the city and state are likely to "come to the table with something good" because they see a realistic return on their investment. The city said it's offering $12 million in tax credits. "You wouldn't find local opposition to this issue like in New York—people in Detroit and Michigan want auto jobs," Dziczek said. "(Fiat Chrysler) is not out there waving their dollars around saying, 'Who will give us the most incentives?' ... They weren't playing an incentive game. They were looking at a business case, and what makes sense." Company officials said SUVs remain in demand, with strong sales and growth potential in domestic and overseas markets. The company's chief financial officer told investors in June that trucks and SUVs would account for 80 percent of revenue by 2022. Union leaders also praised the announcement. "It is especially exciting because these are good union jobs that have been achieved through collective bargaining," United Auto Workers Vice President Cindy Estrada said in a statement. "We now look forward to working with the city and other community leaders on a community benefits agreement that reimagines our city and empowers our citizens to create sustainable communities with long-term viability." Detroit's history has long been intertwined with the U.S. auto industry, with its attendant peaks and valleys. Historically, Detroit's job losses have been reflected in its plummeting population. About 1.8 million people lived in Detroit in the 1950s and Detroit was the nation's fourth-biggest city in 1960. By 2016, it would rank 21st as the tens of thousands of the middle class fled to the suburbs. More whites moved away following a riot in 1967. The black middle class made a similar exodus in the following decade. About the same time, the car plants that provided jobs and helped keep the city running were hiring fewer people. Around 1970, Detroit's unemployment rate was just over 7 percent. It reached 25 percent by 1990. In 2009, the unemployment rate was close to 29 percent. Today, Detroit has fewer than 700,000 residents. But the city's unemployment rate last fall was down to about 8 percent.